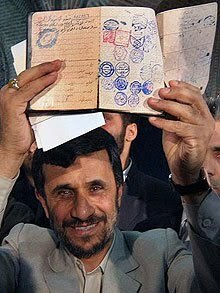 Ahmadinejad showing papers during election. 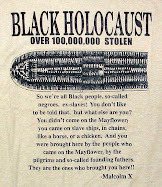 It shows that his family's previous name was Jewish. Editor's Note: This is something I knew from the beginning...but it is interesting to hear a major news wire report on this. I'd be curious to know what the psychological motivation would be behind the Daily Telegraph's release of this information. The media and intelligence Oligarchs are certainly aware of the true ethnic-religious identity of the Iranian President, as implied by the London-based Israeli embassy spokesman's refusal to discuss it. This is certainly no surprise to them. Mahmoud Ahmadinejad's vitriolic attacks on the Jewish world hide an astonishing secret, evidence uncovered by The Daily Telegraph (UK) shows. Experts last night suggested Mr Ahmadinejad's track record for hate-filled attacks on Jews could be an overcompensation to hide his past. Ali Nourizadeh, of the Centre for Arab and Iranian Studies, said: "This aspect of Mr Ahmadinejad's background explains a lot about him. 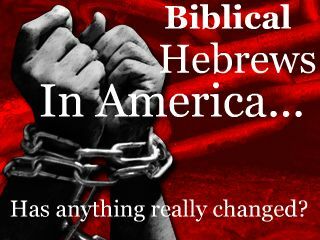 Every family that converts into a different religion takes a new identity by condemning their old faith. By making anti-Israeli statements he is trying to shed any suspicions about his Jewish connections. He feels vulnerable in a radical Shia society." The Iranian leader has not denied his name was changed when his family moved to Tehran in the 1950s. But he has never revealed what it was change from or directly addressed the reason for the switch. Relatives have previously said a mixture of religious reasons and economic pressures forced his blacksmith father Ahmad to change when Mr Ahmadinejad was aged four.